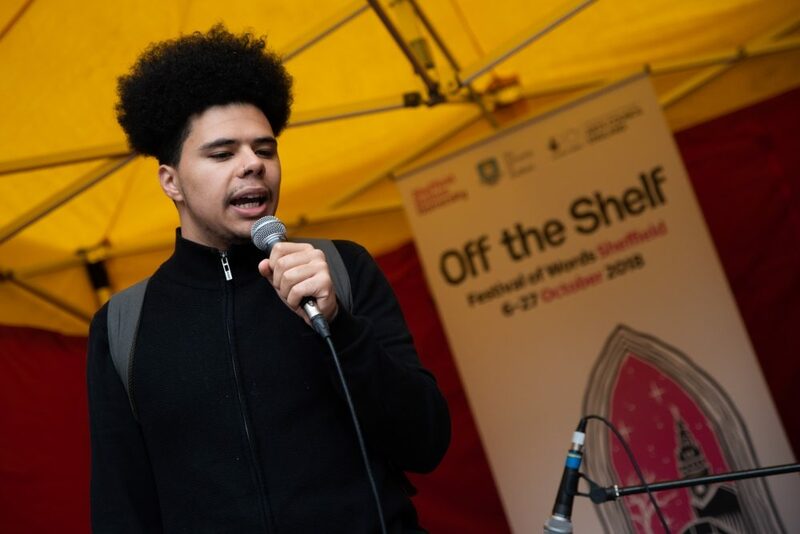 On Saturday, the weather cleared to welcome the launch of Off the Shelf on The Moor featuring poetry, music and performance. The Lord Mayor of Sheffield, Magid Magid, came to help us launch our festival and announced the appointment of the Sheffield’s first Poet Laureate, Otis Mensah. Otis, who describes himself as a ‘young story-teller-rapper-poet’, performed for the crowds. On Sunday of the opening weekend, we celebrated all things Circus! Our Associate Partner for Circus Sunday, Daybell & Choo, enjoyed seeing the decorated cardboard glasses that young visitors created. The afternoon was visited by many families who learned a variety of Circus skills, saw the Flea Circus and were entertained by some walkabout circus acts to launch one of our key themes for this year’s festival, Circus 250.